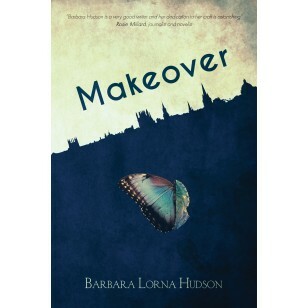 Makeover by Barbara Lorna Hudson is a sharply observed and hard-hitting work of women’s fiction that explores the twists and turns of life and relationships as it follows the fortunes of Lucille, twice divorced and twice the victim of abusive marriage, and Oxford don Walter, still mourning the death of his wife. In their own very different worlds, they both know that they have to move on and grasp new opportunities, but neither is prepared for the severe lessons they have yet to learn. Master of sharp observation in her beautifully crafted works of women’s fiction, Barbara Lorna Hudson explores myriad relationships in Makeover. After a turbulent early life and two abusive marriages, divorcee Lucille Brown has battled hard to find her feet. Now all she asks is a second chance. When Oxford don, Walter, arrives in her life, the sexual chemistry is tangible, yet the gulf between them seems impassable. But harsh lessons and new opportunities await them both.